Beck & Lee is a law firm focused on trial and litigation practice. 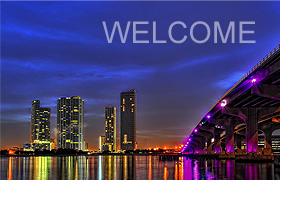 We are based in Miami, Florida, but our practice is nationwide in scope. We specialize in lawsuits on behalf of severely injured individuals, investors, consumers, and businesses. The firm's managing partners, Jared Beck and Elizabeth Lee Beck, graduated from Harvard Law School and Yale Law School. Our approach is to out-think and out-work opposing counsel. We enjoy taking cases that are particularly complex, and relish the challenge of beating the competition in court  especially when the other side is a big corporation represented by a large law firm. Our clients come from across the United States and around the world. Many of them retain the firm on a contingency basis, meaning that we do not get paid unless there is a recovery. We are able to offer contingency arrangements on a case-by-case basis. Since Beck & Lee's founding in 2007, we have succeeded in recovering millions of dollars on behalf of our clients. Please feel free to call or e-mail us for more information, inquire about a particular legal matter, or to set up an appointment. You may send us a message from this website by visiting the Contact page. Our phone number is (305) 234-2060.